Minnesota based medical marijuana produced MinnMed claims to have a strain of marijuana that is 34 x stronger than any other on the market. Marijuana is taking its place as a viable form of medication for millions of people across the globe. Each day it seems that scientists have found a new application for cannabis and public support for their efforts is surging. Recently the Minnesota-based medical marijuana producer, Minnesota Medical Solutions, announced that an independent lab study showed their strain Katelyn Faith was about 34 times stronger than other medical marijuana strains. The company named the strain Katelyn Faith in memory of Katelyn Faith Pauling, an 8-year-old girl who died of complications from Battens Disease. Battens Disease is a rare form of lysosomal storage disorders. Genetic cell mutations limit the ability of neural cells to dispose of waste causing a buildup of lipids and proteins in the body. Those with the disease often experience severe seizures and sometimes lose the ability to speak. MinnMed claims that their new strain of medical marijuana has a 34:1 ratio of CBD to THC. Lately, CBD has been the cannabinoid of focus when it comes to treating diseases that cause seizures. Many consider CBD the “anti-THC”, because it does not produce the same psychoactive effects that THC does—in fact CBD reduces the feeling of being high that THC produces. Vireo Health CEO (parent company of MinnMed) Kyle Kingsley believes that the company’s newly developed strain could cause a sudden influx of people moving to Minnesota in order to get their hands on the new medicine. Much like what Colorado experienced a few years ago when Sanjay Gupta announced his support for Charlotte’s Web, another industry leading CBD hemp oil producer. Kingsley also believes that the extremely high ratio of CBD to THC will help the company manufacture its products more efficiently. Charlotte’s Web products currently boast a 20:1 ratio of CBD to THC in their popular products. 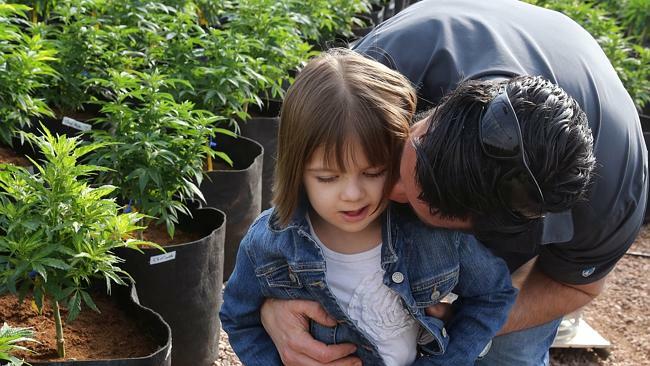 Similar to the Katelyn Faith strain, the company is named after Charlotte Figi, an 8 year old girl who was one of the first who’s parents used CBD oil to treat her Dravets Syndrome related seizures. Charlotte experienced hundreds of seizures per day, and since she has been taking Charlotte’s Web products, the seizures have been nearly eliminated, allowing her to attend school for the first time this year. Naturally there is competition among companies who desire a space in the CBD market. Regardless of the potential for monetary gain through CBD products, the fact remains that companies who make an honest and quality product will continue to have the potential to save millions of lives. CBD is proving itself to be a viable and safe alternative to many of the prescription medicines that have dominated modern medicine for decades. With the new focus on high-CBD strains of marijuana and hemp, I suspect that the true power and potential for CBD as a medicine is yet to be seen. What do you think about the new strain developed by MinnMed? Let us know on social media.